Public Schools are offering Boys Volleyball THIS SPRING!! Join Hurricanes Boys Volleyball and participate with us in the inaugural season! The Greenville Hurricanes are seeking 7-12 grade boys to participate in our very first Spring Volleyball season. We need your help! Responses from players interested need to be emailed by Friday, FEBRUARY 1st AT NOON. Please email Jesse Zdonek, Boys Program Manager, attigerjcz@yahoo.com if you would like to join the Canes Team. 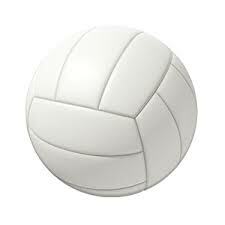 If we are confident we have enough players to fill our team, we will launch a brand new Boys Spring Volleyball Season! If you are currently playing Club volleyball, you are still eligible to play with us. You will need to check with your Club Coach to make sure that it is okay with them. We will have to let the committee know if we are able to field a team so that we can move forward in scheduling. GO Canes! Season Dates: Feb 11 begin practice, March 4 matches would begin and continue through mid-April, April 13 possible finals, and April 20th Championship. Games: 1 to 2 games a week. These will be published once we have a final list of players. Physical: You will be required to have an up to date (within the last year) sports physical to file with the Greenville Hurricanes.